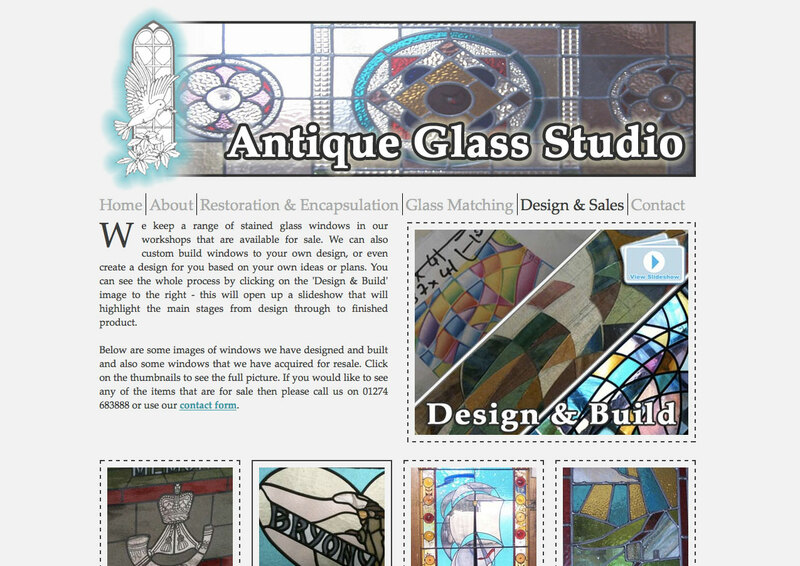 An online ‘brochure’ for the Bradford-based stained-glass window company. 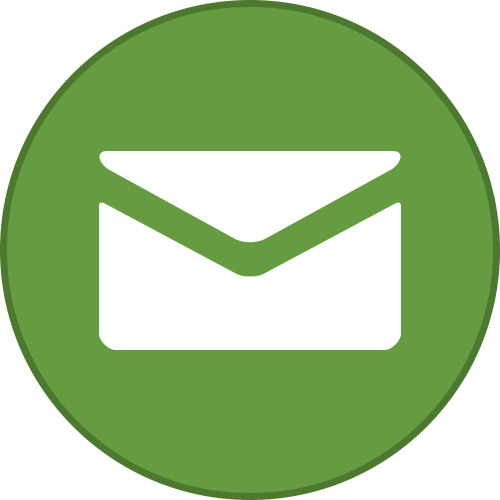 The owner requested a modern site but with a traditional ‘feel’ to it. Serif fonts and large drop-cap’s were used to meet this requirement. 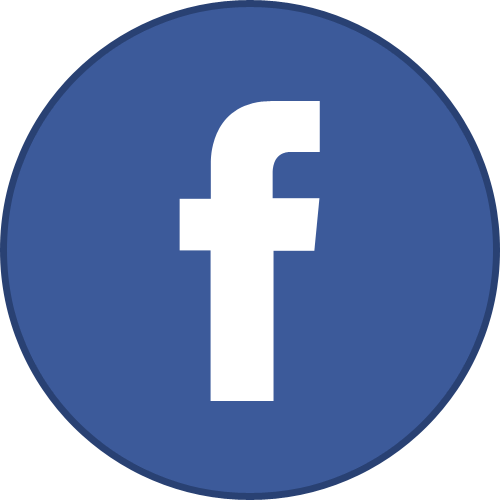 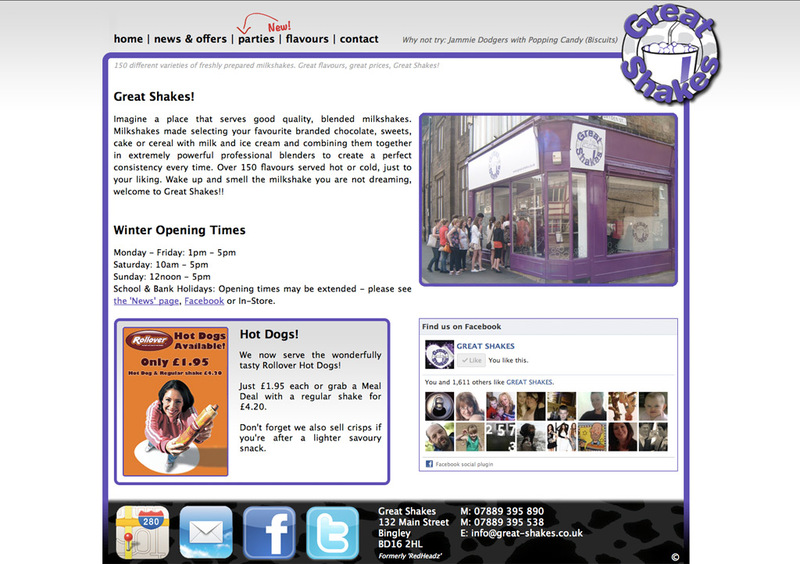 A milkshake bar in Bingley that wanted a bright, fresh, modern site as a source of information alongside their Facebook page. 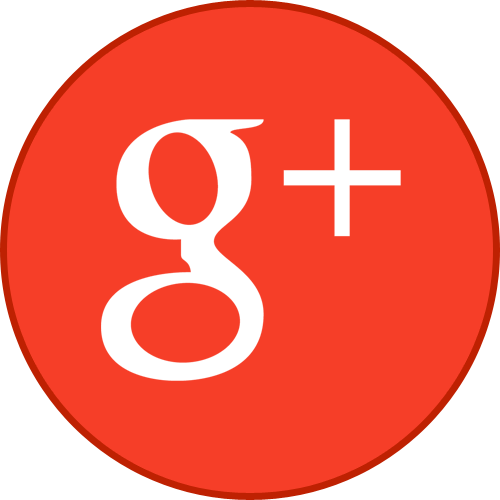 The logo and colour scheme were provided and the site was designed to compliment them. 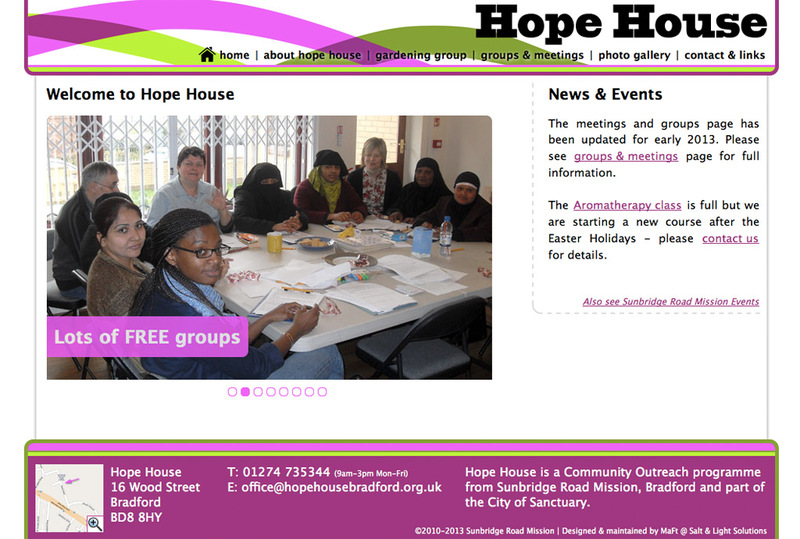 Website for local community centre run by Sunbridge Road Mission, Bradford. 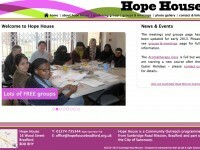 The site includes news updates, information for weekly meetings and groups and a photo gallery.